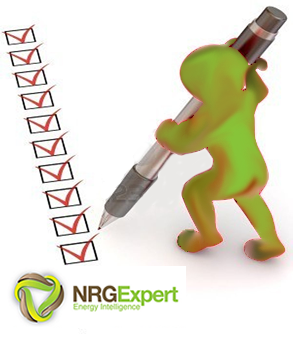 To celebrate the festive season, NRG Expert launch a challenging energy quiz. They have scoured the NRG Expert website and over 1000s of lines of data in their global energy databases to ask 5 tough energy questions. Are you an energy expert? Do you know the answers? How much is the global water and waste market worth? How many jobs can the shale gas industry support by 2035? How much can the roll-out of Electricity Smart Grids reduce CO2 emissions by 2020? In the US what percentage of energy demand will come from renewables by 2040? How much will need to be invested in Energy infrastructure on an annual basis up to 2035 to meet the worlds insatiable and growing energy demands? 2.2 Gigatonnes is our best estimate. View our 2 Minute Briefing on Smart Grids for more interesting smart grid data. This astounding figure was revealed in our 2 Minute Briefing on the Future of Energy Demand. Click here to discover this enormous number. Just click on the links above and all the answers will be revealed. Enjoy. Happy Holidays! Sweet blog! I found it while searching on Yahoo News. Do you have any suggestions on how to get listed in Yahoo News? I’ve been trying for a while but I never seem to get there! Cheers. Hi Gemma – NRG Expert publishes a lot of press releases which often get picked up. Recommend you try this. Outstandingly educative, cheers. I am sure your visitors would want more writing similar to this. Maintain the wonderful work. Good write-up, I am a regular visitor. I am going to be a regular visitor for a long time. I do consider all the ideas you’ve introduced for your post. They’re really convincing and can definitely work. Still, the posts are too quick for starters. Could you please prolong them a little from subsequent time? Thank you for the post. Thanks , I’ve recently been searching for info about this topic and yours is the greatest I have found . But, what about the bottom line? Are you concerning the supply? Hello there, I found your site via Google, your web site came up, it seems to be good. I’ve added to my favourites, added to my bookmarks. I’ve learn some stuff here. Certainly bookmarking. I wonder how much effort you have put in to create such a fantastically informative website. I simply want to mention I am a newbie to web logging and really enjoyed your site. I want to bookmark your website . You come with wonderful article content. Thanks a bunch for revealing your website page. From my own experience I realize that if we’re not inspired we can’t do the right thing. Thanks for the tips! Tremendous issues here. I’m very satisfied to see your article. Thanks a lot. Will you kindly drop me a mail?